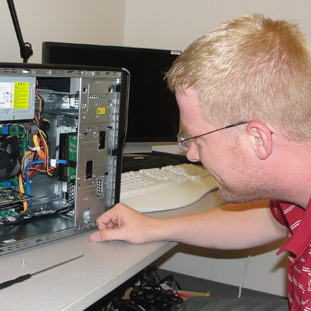 The WSU Energy Program's computer services include software development, website and database creation, computer programming, telecom and computer networking, wireless networking, Internet administration, email maintenance, computer backup, and video conferencing. Our engineers and software team developed MotorMaster+ International, a free online software tool that supports motor systems planning efforts. MotorMaster+ International is now available in six languages on three continents.